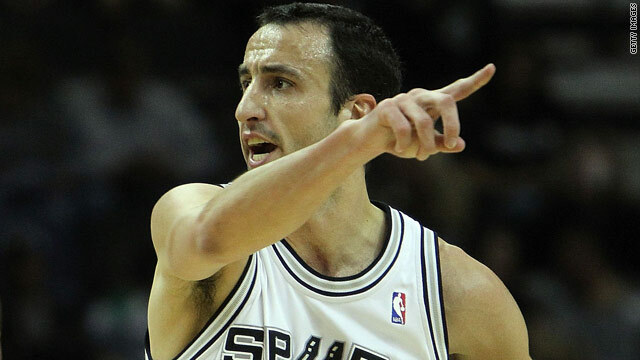 Manu Ginobili believes his success at San Antonio has paved the way for more overseas players in the NBA. (CNN) -- San Antonio guard Manu Ginobili believes his success with the Spurs has helped overseas stars become more established within the NBA. The Argentine, who is currently in his eighth season with the Spurs, told CNN that he believes players from abroad are now more trusted by the top NBA franchises. "NBA franchises now trust overseas players far more than they used to," said the 32-year-old. "Over the last four of five years the numbers of overseas players in the NBA has increased so much and they have more influence now than ever before. "There are now overseas players in key positions and this league is becoming truly global. I am very proud that is happening. Ginobili has been a key figure in San Antonio's recent run of three NBA title triumphs -- in 2003, 2005 and 2007 -- however, he admits that helping his country win gold at the 2004 Olympic Games in Athens was the highlight of his career. "Winning a gold medal was something different, especially coming from Argentina where we never throught we could win a basketball gold medal. "It really was something fantastic for me. To win three NBA titles was also an unbelievable experience and to compare those achievements is hard. "But the Olympic Games, and the Olympic environment, is unique and that was really special for me."